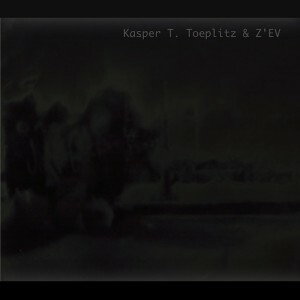 Z’EV (skins/symphonic bass drum) and Kasper (bass|computer) were recorded live in Sleaze Art studio, Paris, January 2010. Kasper mixed and assembled Fleur De Peau out of these recordings the following weeks. Fleur De Peau (literally: flower of skin) could be interpreted as ‘extremely sensitive’. 1st edition of 150 copies (September 2011): printed mini-cdr, carton folded sleeve.